You may recall that I made some fresh chorizo a while ago. 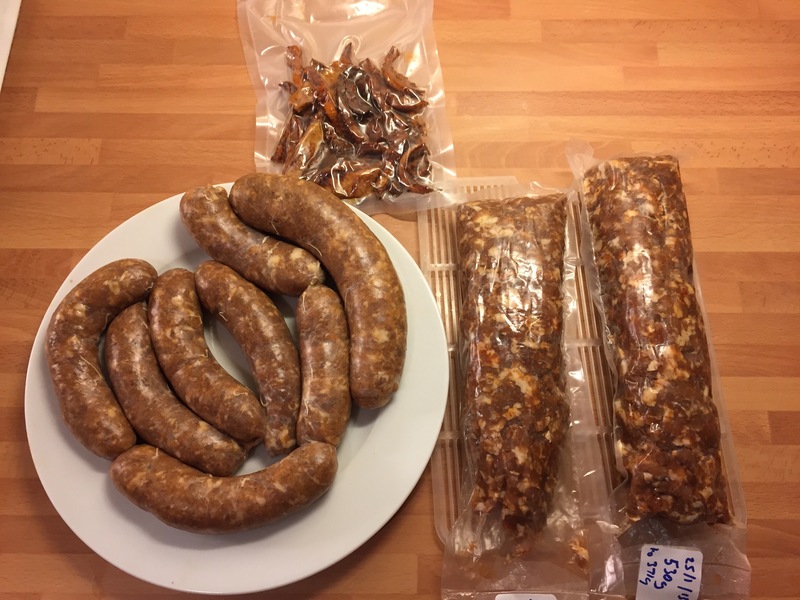 They were nice but I wasn’t particularly happy with the meat I got from the butcher , a mix of pork cuts that they use for their sausages, so for these sausages I thought I’d buy a whole shoulder and process it myself. 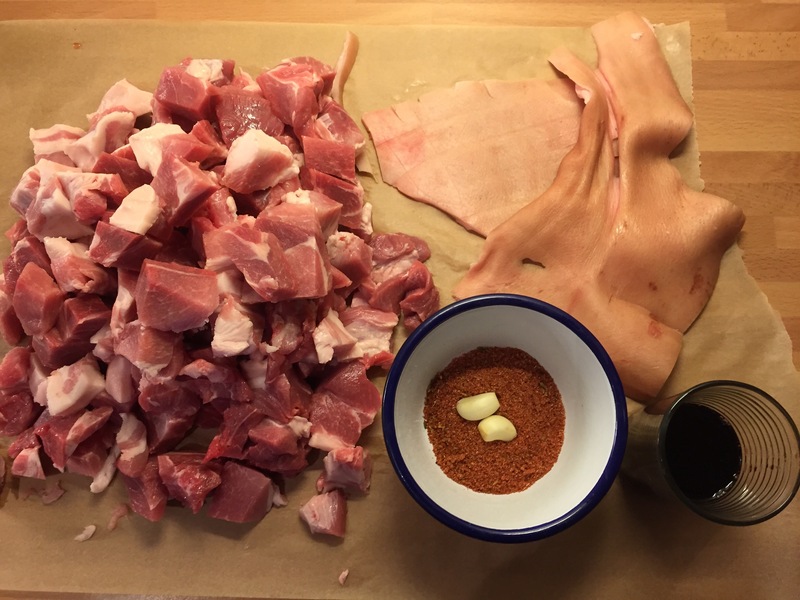 With a sharp filleting knife it was easy to separate the skin and dice the shoulder into chunks for the mincer ( I’ll use the skin for chilli pork scratchings) . I was following the recipe for cured sausage in Tim Haywards excellent book Food DIY. 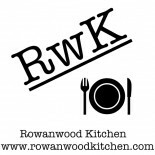 The only problem was not being able to get any pork back fat as most butchers either use it for their own sausages or throw it away, maybe I’ll try and order some next time. The shoulder was quite fatty so I’m hoping the sausages will still be passable. 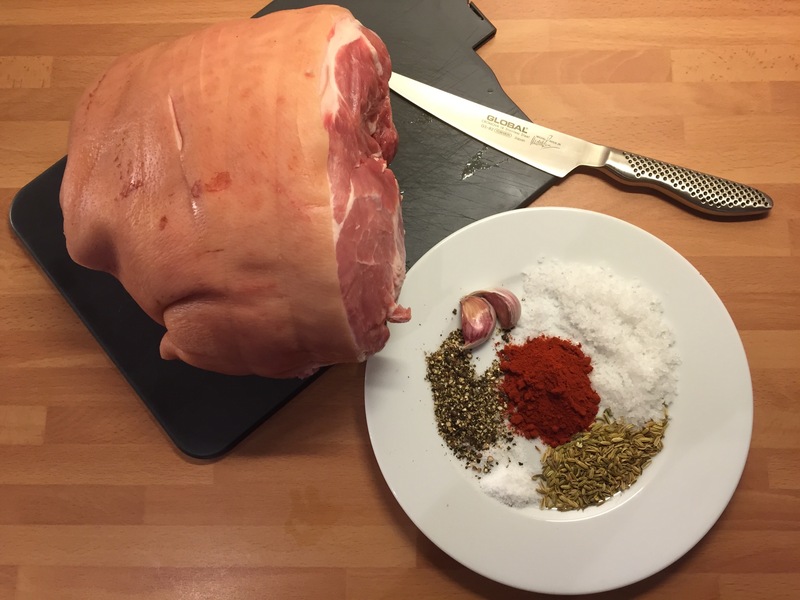 I minced the pork on a coarse plate and then added salt, Prague powder no 2, fennel seeds, pepper, garlic, red wine and Smoked Paprika. Then I thoroughly mixed and left the mixture in the fridge overnight to let the flavours develop. The next day the mix was ready for stuffing into skins. By way of experimenting I’m trying two methods. I’ve procured some special dry cure bags that apparently allow you to air dry on the fridge so I used half the meat in these and then stuffed the rest into hog casings. 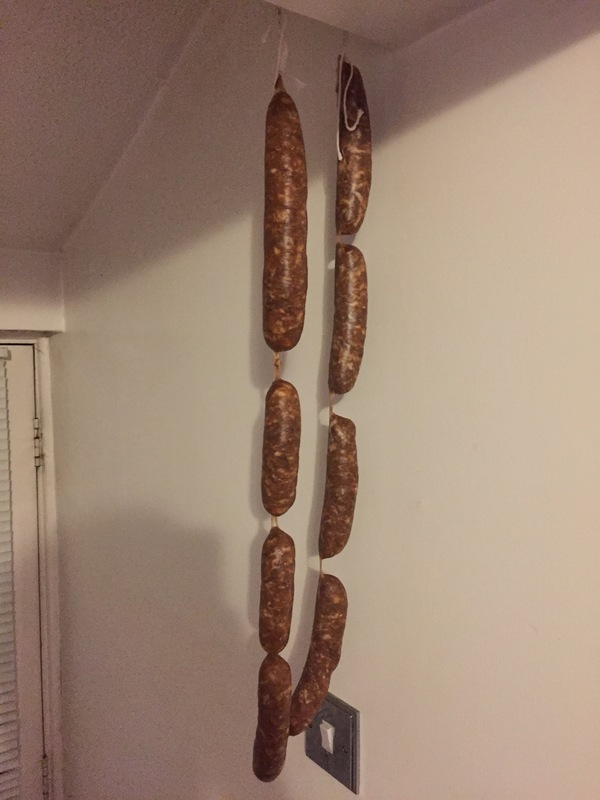 I put the dry cure bags in the fridge on a rack and then hung the sausages in my drying room ( my porch) where hopefully the conditions should be ok for a successful dry cure. So time will tell! The sausages should be ready when they have lost approx 30% of their weight. I’ll post again when they are ready. 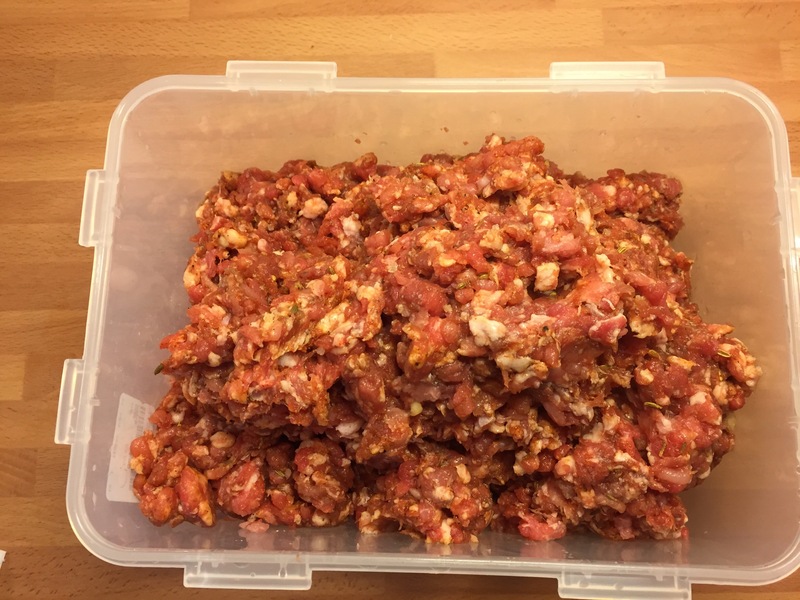 This entry was posted on January 26, 2015 by paulb in DIY Food, Meat, Preserving.